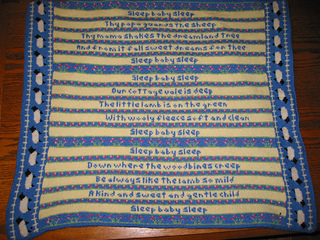 Baby blanket featuring nursery rhyme in stranded colorwork. 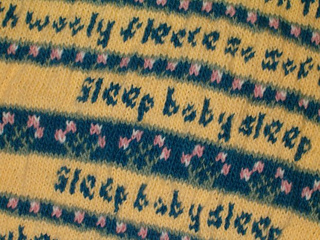 “Index” Blanket knitting instructions begin on page 20, and the Sleep Baby Sleep charts start on page 46. Dale Baby Ull or Lanett Baby Ull are recommended.